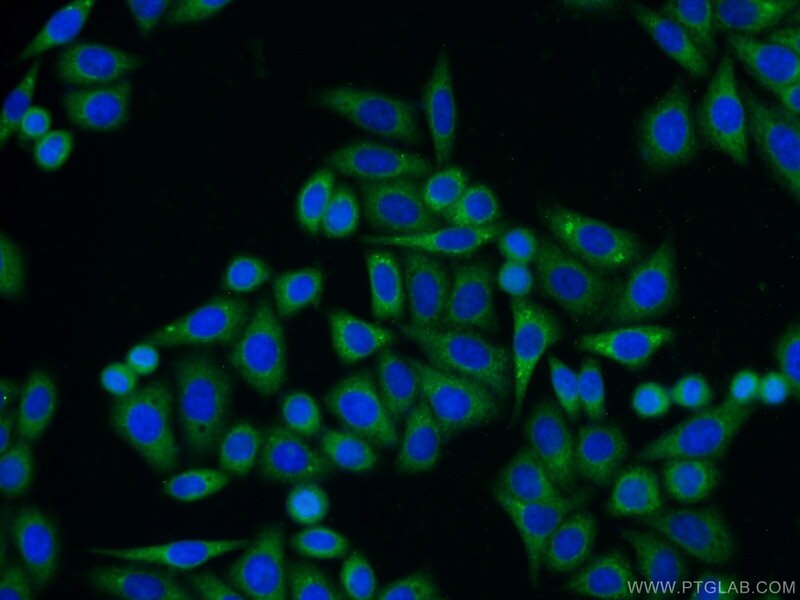 IP Result of anti-CNPY2,MSAP (IP:14635-1-AP, 3ug; Detection:14635-1-AP 1:500) with HepG2 cells lysate 600ug. 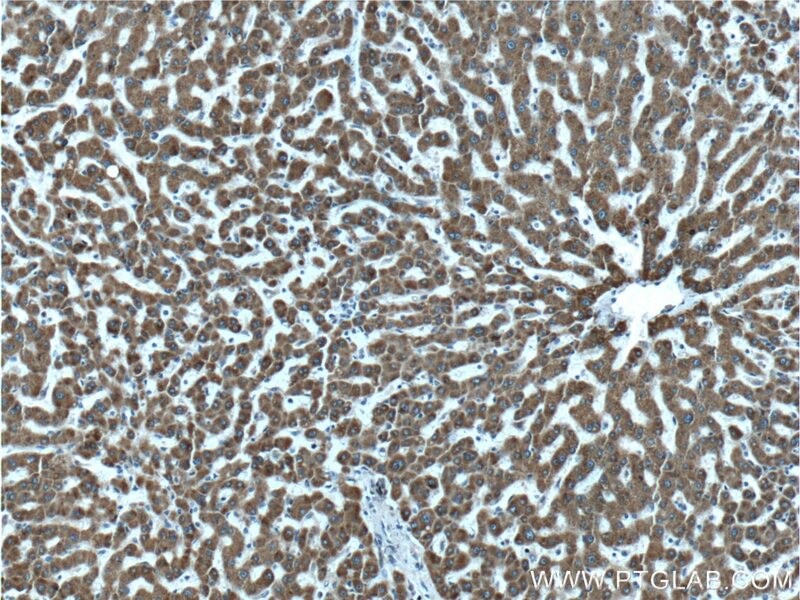 Immunohistochemical analysis of paraffin-embedded human liver tissue slide using 14635-1-AP( CNPY2,MSAP Antibody) at dilution of 1:200 (under 10x lens). 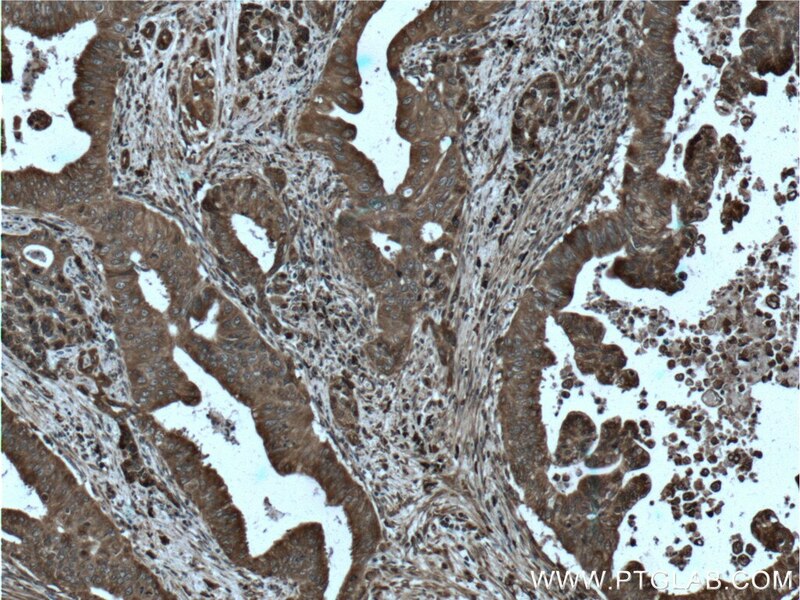 Immunohistochemical analysis of paraffin-embedded human liver tissue slide using 14635-1-AP( CNPY2,MSAP Antibody) at dilution of 1:200 (under 40x lens). 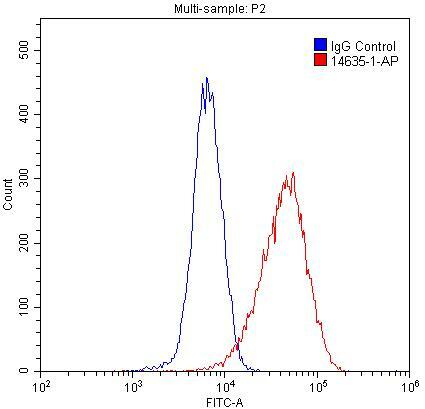 1X10^6 HepG2 cells were stained with 0.2ug CNPY2,MSAP antibody (14635-1-AP, red) and control antibody (blue). Fixed with 4% PFA blocked with 3% BSA (30 min). Alexa Fluor 488-conjugated AffiniPure Goat Anti-Rabbit IgG(H+L) with dilution 1:1500. 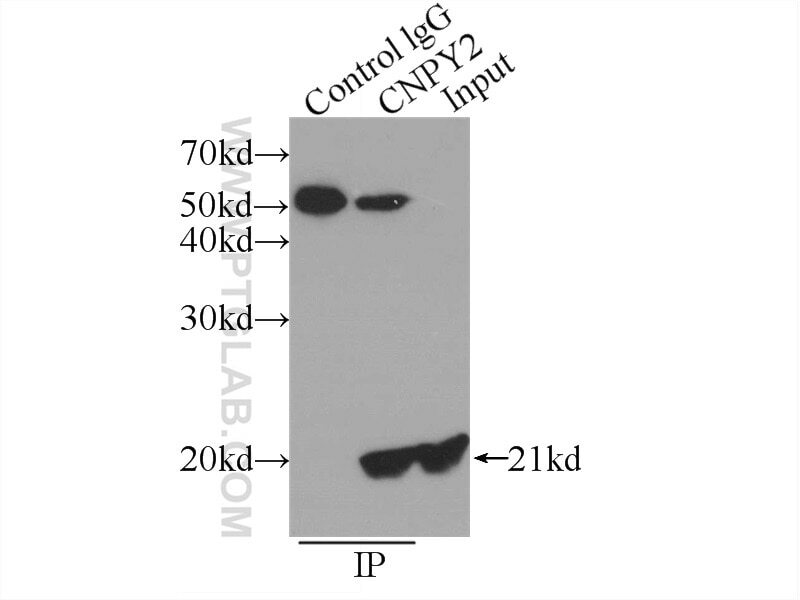 Fibroblast growth factor-21 (FGF21) regulates low-density lipoprotein receptor (LDLR) levels in cells via the E3-ubiquitin ligase Mylip/Idol and the Canopy2 (Cnpy2)/Mylip-interacting saposin-like protein (Msap). CNPY2 is a key initiator of the PERK-CHOP pathway of the unfolded protein response. Protective effect of Barbaloin in a rat model of myocardial ischemia reperfusion injury through the regulation of the CNPY2‑PERK pathway. Reciprocal regulation of Very low-density lipoprotein receptors (VLDLRs) in neurons by Brain-derived neurotrophic factor (BDNF) and Reelin: Involvement of the E3 ligase Mylip/Idol. 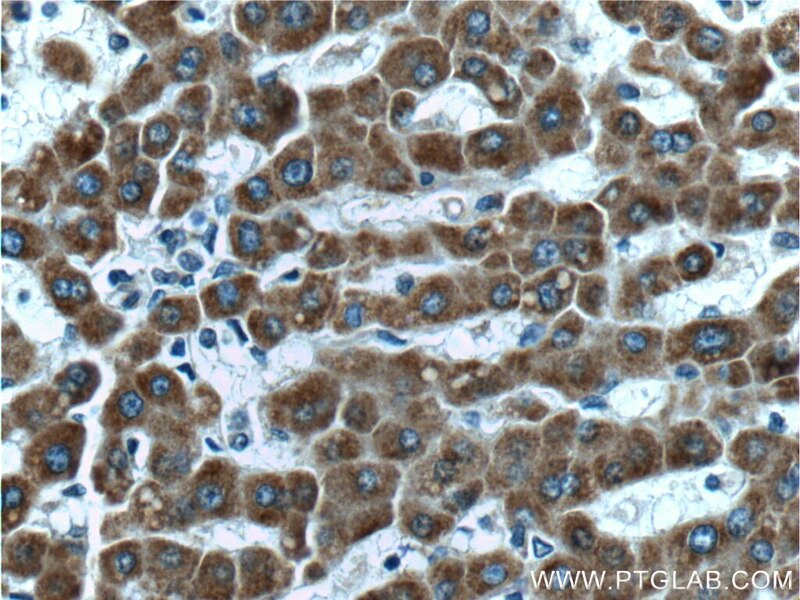 Immunohistochemical analysis of paraffin-embedded human pancreas cancer tissue slide using 14635-1-AP( CNPY2,MSAP Antibody) at dilution of 1:200 (under 10x lens). heat mediated antigen retrieved with Tris-EDTA buffer(pH9). 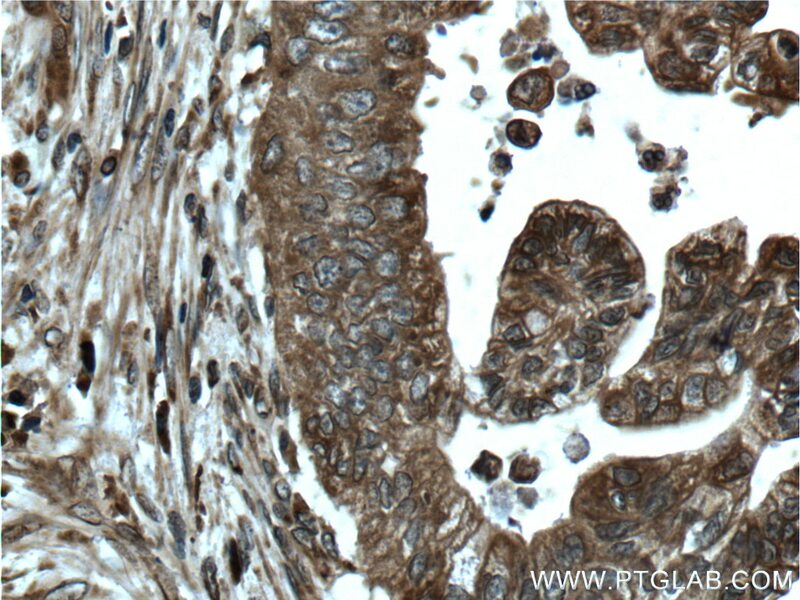 Immunohistochemical analysis of paraffin-embedded human pancreas cancer tissue slide using 14635-1-AP( CNPY2,MSAP Antibody) at dilution of 1:200 (under 40x lens). heat mediated antigen retrieved with Tris-EDTA buffer(pH9).